RAPAPORT... US households are planning to spend 4% more this holiday season, as consumer confidence has improved in the current economic climate, the National Retail Federation (NRF) said Wednesday. Americans said they would shell out approximately $1,007 on seasonal purchases, compared with $967 in 2017, according to a survey the trade organization has released. Anticipating the tariff hike on goods from China, retailers imported large volumes for the holiday season before the tariffs took effect, Shay explained. Consumers have allocated $638 of their total outlays to buying gifts, while $215 will go toward non-gift holiday items, including food, flowers and greeting cards. The remaining $155 will be spent on other non-gift purchases that take advantage of deals and promotions offered by retailers throughout the season, the survey found. Among the 7,313 consumers surveyed, jewelry was low on the list of most-desired gifts: Only 22% said they wanted to receive products from that category. Some 60% wanted to get gift cards, while 53% chose clothing and accessories. Entertainment — which includes books, movies and music — accounted for 37% of the vote, with electronics and home décor garnering 29% and 23%, respectively. 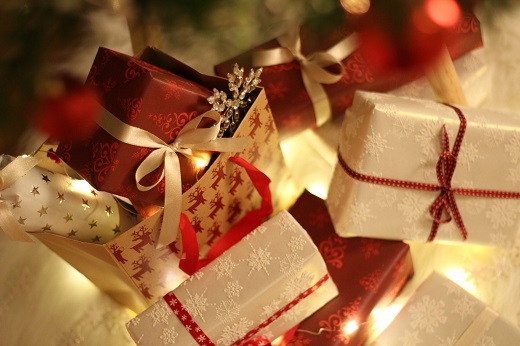 At the bottom of the list were gifts of personal care or beauty products, sporting goods, and home-improvement items. Earlier this month, the NRF predicted holiday sales in the US would grow between 4.3% and 4.8% for a total of $717.45 billion to $720.89 billion.